Why did you start volunteering with Habitat? I have been fortunate to have had the opportunity to visit many countries. On a number of my travels I have seen Habitat for Humanity and similar organisations build projects underway. 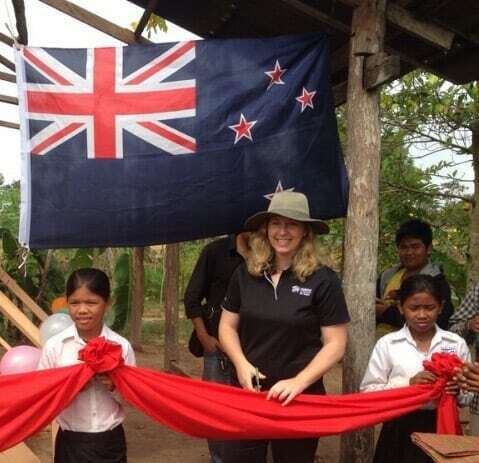 The Habitat for Humanity philosophy of a ‘hand up, not a hand out’ resonated with me and I knew that joining one of their build projects would be a great way to give something back to a country that I enjoyed travelling through as a young backpacker. Can you describe the experience in one or two sentences? Joining a Habitat for Humanity build was a big step out of my comfort zone but one that I am proud and grateful that I took. Tell us a bit about what the week involves? On this particular build, the week started with our team setting a very big goal – to rebuild one house and construct three outdoor toilets within four days. This was a rather daunting challenge given most people in our build team including myself had next to no building experience. Over the next four days we worked with local builders and the Habitat for Humanity family partners. The local team provided us with plenty of practical support and the opportunity to develop a range of new skills such as laying bricks, building door frames, hanging windows and mixing concrete by hand. With limited power tools on site, the build was more physical than I had anticipated however the local team made sure that we took regular breaks and were well fed and watered. My favourite part of the week was the dedication ceremony where we presented the house keys to the home owners. A large number of neighbours and extended family joined in the celebrations. It was a very humbling experience and it was evident listening to the families what a positive difference our assistance that week would make to their lives. If you are interested in learning new skills and making a positive difference to some people in need then take the leap and join a Habitat for Humanity build. Why not join a Global Village Build this year? We have a trips heading across the globe from Samoa, Fiji through to Cambodia and even as far afield as Colombia!